Any business owner knows that running their business is a constant effort to maintain efficiency and profitability. Asphalt Kingdom has everything you need to help you do just that. Asphalt Kingdom doesn’t just support the growth of your business by providing a wide variety of supplies and equipment. We also offer valuable resources like guides, videos, and tools, so your business can continue growing and improving its services. Our National VIP Contractor Program guarantees you the best prices on equipment and supplies! We understand how important it is to get the best prices on supplies in order to be more competitive in your market as well as more profitable. We will do our absolute best to help you achieve this. We see our customers as partners. The harder we work at making you successful, the more you come back to reorder from us. 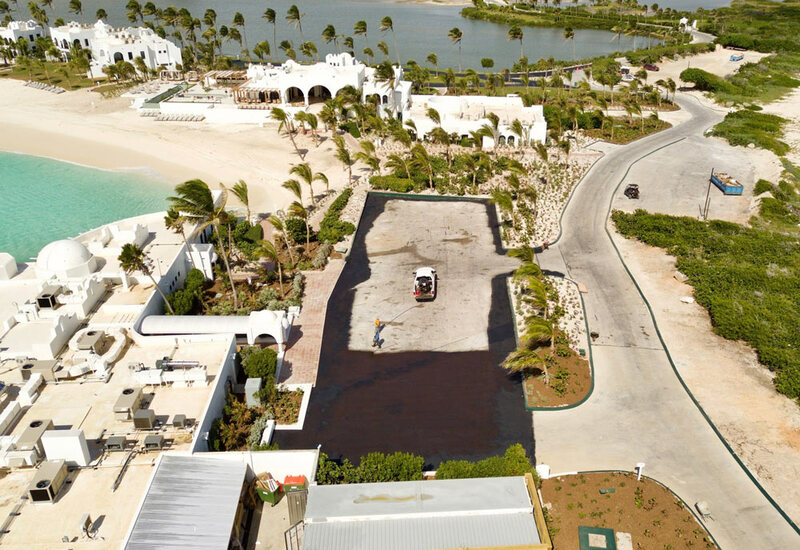 "I recently reordered sealer to protect the parking lot at my hotel as I did 4 years ago. I came back as a repeat customer because the sealer I purchased was excellent quality and it lasted through our very tough winters that get to, and stay at, way below freezing for many months. I know that it is an important part of our hotel maintenance to seal our lots and it really does protect my investment and it also saves me money. Our asphalt is over 20 years old and when we seal it, it looks brand new! 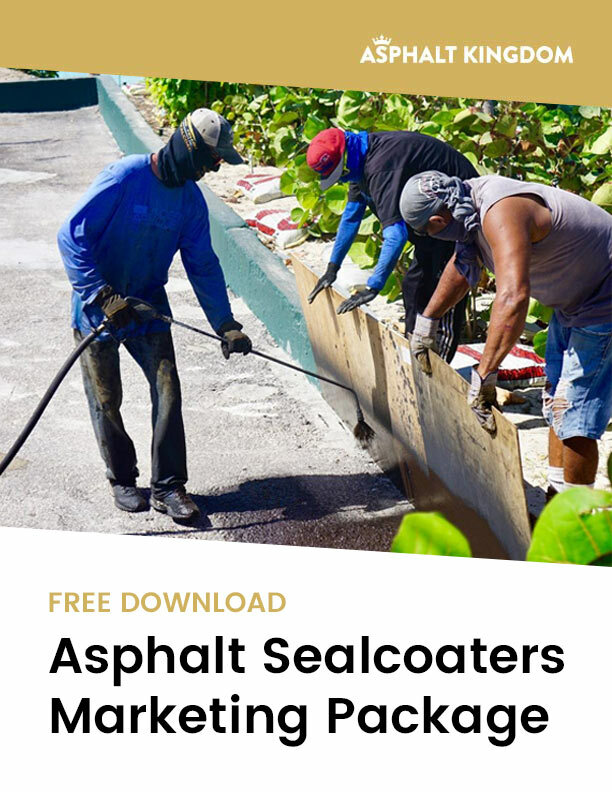 I highly recommend purchasing sealer from Asphalt Kingdom and appreciate getting a quality product, a fair price and keeping it simple by delivering it to my door." We recently purchased the PL4900 from Asphalt Kingdom, and we are extremely happy with its performance. We just absolutely LOVE it; it's easy to use, easy to clean and very precise. We received the unit in a reasonable amount of time, and the customer service at Asphalt Kingdom was outstanding. Their people were always willing to help when I had a question. We would recommend Asphalt Kingdom to everyone. Thank you Asphalt Kingdom for selling us a terrific machine and customer service that can't be beat!" I sealed a few thousand feet of cracks in 2 days, saved my company 1k (over contractor bid) and got a thumbs up from my home owners association. It is great to know that our future needs are no longer dependant upon a contractor that wouldn't have sealed all the cracks/superficial cracks I did and I don't have to coordinate with their schedule. I would say I'm very pleased with your machine and product." 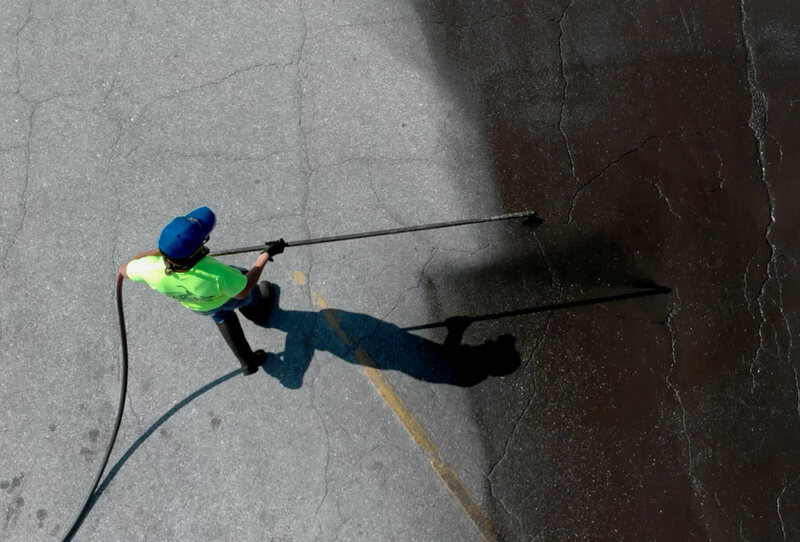 "Your asphalt sealcoating equipment works excellent, I can't complain at all... After using expensive air operated systems for some time, this thing blows them out of the water. I'm so glad I decided to buy your asphalt sealcoating equipment system. The system is easy to use even for old pro's like my partner and I. I highly recommend it to anyone looking to seal driveways. Thanks for a great system and take a look at my son below in action. Also, feel free to have anyone interested in the system call me to ask how well it is working." "The reason I chose Asphalt Kingdom over the others was simple. Even before talking about buying a system I had several lengthy telephone conversations with the President and CEO, who helped me with everything from A-Z. When speaking with him, it's like calling up one of your good buddies. He tailors to your needs and is extremely personable. I have called and e-mailed him for advice dozens, if not hundreds of times. The sealcoating system I ordered has worked beautifully." "I've used many sealing rigs in my 20 years of asphalt paving and maintenance. There have been absolutely no systems that could stand up to the quality of the Bronze Package for the minimal investment I was able to make. As a sole owner of my business I have contracted $68,000 IN QUALITY WORK. I have clients today who have already set dates in my spring season as repeat customers, they are very happy with the job I was able to do. Thanks AsphaltKingdom for all the help."